If I can start a blog, then you can do it too! Really, it's true! I regularly have people tell me that they've thought about starting one, but they're just not sure how to go about it or what they would write about. 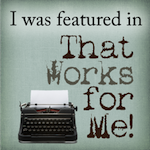 I knew NOTHING about blogging when I started and I started anyway! That was over 5 years and 1000 posts ago and I'm still around. If you have ever thought about starting a blog as a creative outlet, as an opportunity to practice writing, as a way to keep a record of your family, or for any other reason - I encourage you to do it! It's really not that hard to start. I wrote a very simple post a few years ago about beginning a blog and a after a year of blogging, I wrote about 9 benefits of blogging. If you've been thinking about blogging or getting back to blogging, I also recommend reading A Blog is a Blog, No Matter How Small. There are so many great resources now to help you start blogging! Here's a post from Amy Bayliss on How To Start Blogging. I think you should stop by my Blog Tips Pinterest board - there are plenty of helpful links there covering blogging, social media, and more. Bloggers - please share links to your fave resources in the comments for the new or soon-to-be bloggers! 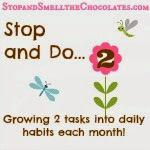 If you need a little extra blogging encouragement, check out my Encouraging Bloggers series or stop by and see my friend Debi Stangeland - the Blog Cheerleader - for her Better Blogs series. I also recommend connecting with a blogger or two that you feel comfortable with. In fact, feel free to click on my Contact Me tab at the top and ask me questions if you like. I'm no expert, but I'm happy to answer you if I'm able or at least point you in the right direction! 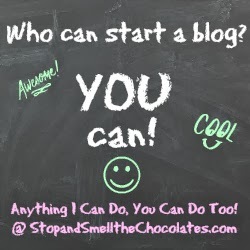 You CAN start a blog! Are you currently a blogger? Have you started blogs but didn't stick with it? Are you ready to start a new blog? Share in the comments! Click here ---> to subscribe by E-mail. Click here ---> to Like my Facebook page. Click here ---> to follow me on Pinterest. Click here ---> to follow me on Twitter. Click here---> to follow me on Google+. Great info shared here. 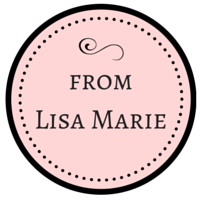 I am so thankful I started blogging 5 years ago and found you! Blessings! If I never would have started blogging I probably never would have met you. So thankful for that! Maybe some day I'll make it out to Cali for a visit. Big blogging is not for the weary for sometimes you get teary size hugs to you! It is an amazing way for friends to meet, isn't it? Love ya friend! Thank you for your post! I started blogging Bout 4 years ago, then life intervened, baby, work etc...now I am back at it and enjoying it! Soaking up all the tips I can read. So glad you're back at it and hope you're having fun!